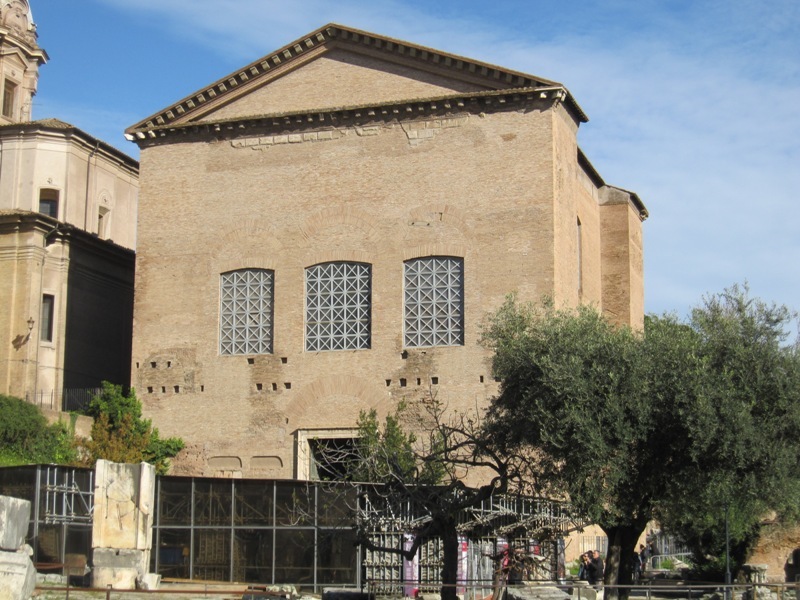 The Senate forces 12.000 Latins to leave Rome and return to their Latin communities. The year discussed here first of all saw the death of Rome’s most formidable opponent of the previous years, King Antiochos III the Great of the Seleucid Empire. The king died during a new military campaign in Luristan and was succeeded by his second son Seleukos, who would rule as Seleukos IV Philopator (187-175 BCE). The new king would not give the Romans any trouble. The war in the East was over and the victorious Romans could focus on problems closer to home again, and on the quagmire that was called Greece. 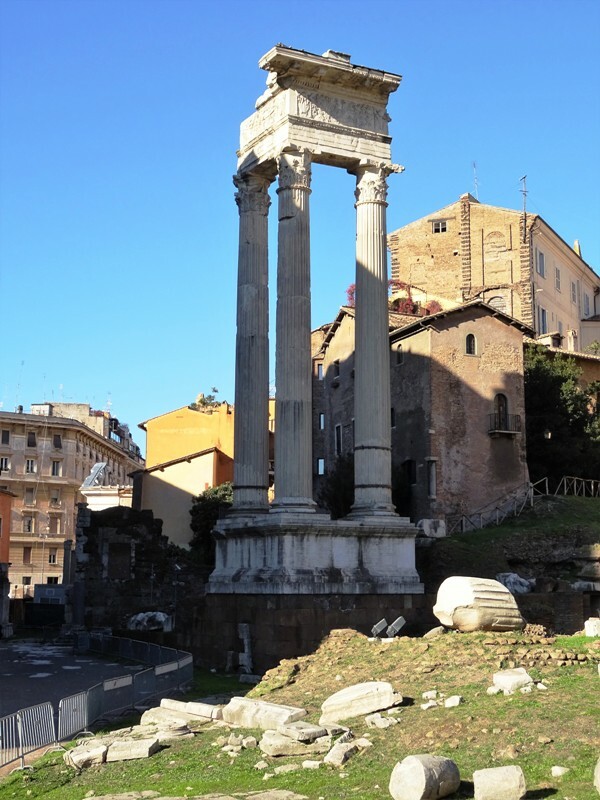 The new consuls, Marcus Aemilius Lepidus and Gaius Flaminius, had been elected early in the year (18 February according to the Roman calendar, but 17 October of the previous year according to ours). Both were given Liguria as their province, as rumours that a new war was looming in that part of the Italian peninsula were growing ever stronger. Liguria was never a popular province. It was dirt poor, there was little booty to be gained, the terrain was difficult and the enemies were fierce and hard to defeat. This was probably the main reason that the consul Lepidus protested the Senate’s decision. It was clear that the consul wanted to be sent to the East, where circumstances were more comfortable and opportunities for rich spoils much greater. But the Senate, after hearing Lepidus’ argument, decided to stick to its previous decision: the consuls would both be charged with the war against the Ligurians. Augustan era remains of the Temple of Apollo. In his speech to the Senate, Lepidus had especially criticised Marcus Fulvius Nobilior, the man who had captured Ambrakia in Greece in 189 BCE and Same on Kephallenia the next year. Lepidus and Nobilior were old enemies. The former blamed the latter for having frustrated his attempts to win the consulship in previous years (Nobilior had presided over these elections). Lepidus now introduced envoys from Ambrakia to the Senate, who complained about Nobilior’s actions with regard to their city. However, the other consul, Flaminius, came forward in defence of Nobilior, who was still abroad. As a consequence, the Senate could not reach a decision. But then Flaminius fell ill. Lepidus now quickly tabled a proposal to give the Ambrakians back their possessions (save the treasures stolen from temples) and allow them to live under their own laws. The proposal was adopted, but this was only made possible because many senators were absent. Rome was hit by some kind of epidemic this year, and this may have affected attendance rates as well. Marcus Fulvius Nobilior returned to Rome later this year and asked the Senate for a triumph during a meeting in the Temple of Apollo. One of the people’s tribunes threatened to use his veto if the Senate would take a decision before the consul Lepidus had returned from his province. It was clear that Lepidus wanted to speak out against granting a triumph. Fortunately for Nobilior, a tribune by the name of Tiberius Sempronius Gracchus – father to the two Gracchi – made the other tribune change his mind. Nobilior was now awarded a triumph by the Senate. 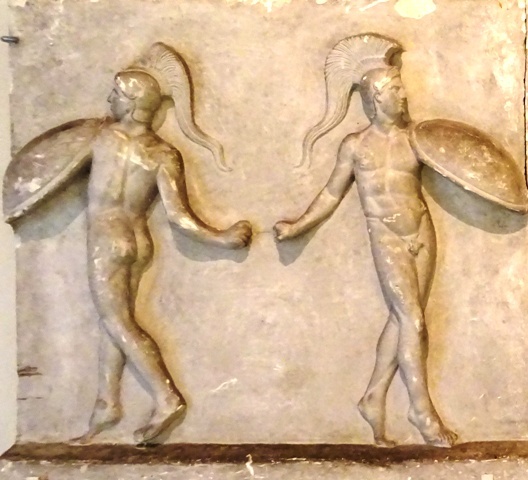 According to Livius, he wanted to hold it in January of the next year, but decided to bring the date forward to 21 December when he heard that Lepidus was on his way back to Rome to try and thwart the triumph again. In any case, because of the differences between our calendar and that of the Romans, the triumph was probably held somewhere in the late summer. There was also much discussion in the Senate about whether Gnaeus Manlius Vulso deserved a triumph for his victories over the Galatians. A majority of the decemviri – who had been in the region to settle the details of the peace agreement with King Antiochos and to assist the then-consul Vulso – argued that this was not the case. According to them, Vulso had fought his war without a senatorial or a popular mandate. The return journey through Thrace had furthermore been a disaster and one of the decemviri had been killed by the tribes living there. But Vulso argued his case forcefully. The discussion lasted for many hours, until the Senate was forced to suspend its session and postpone its decision because the day was over and there was no more time. The next day, Vulso’s relatives and friends convinced many of the senators who were still in doubt to support the former consul, while at the same time the most senior senators were already on his side. A large majority decided to award Vulso a triumph after all, which he would hold on 5 March of the next year (which was probably still in 187 BCE according to our own calendar). Before they could leave for their province, the consuls were forced to listen to complaints from Spartan envoys. The previous year, the Achaean strategos Philopoimen had invaded Laconia. He had demolished Sparta’s city walls and had given part of the city’s territory to Megalopolis. 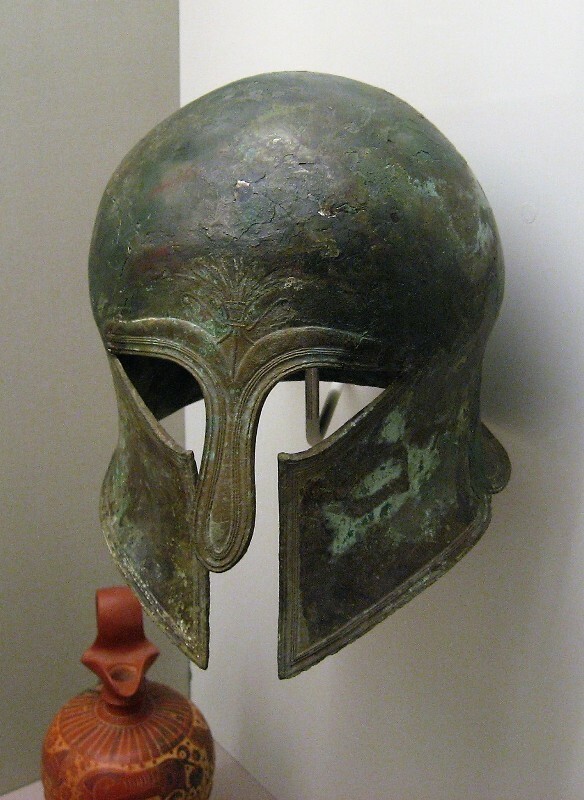 Pro-Achaean exiles had been returned to the city, while between 80 and 350 anti-Achaean Spartans had been executed in an event known as the ‘Massacre at Kompasion’. Perhaps most importantly, Philopoimen had also abolished Sparta’s ancient constitution, traditionally attributed to the ninth century king Lykourgos, as well as the educational system for boys known as the agoge. So the Spartans certainly had cause for complaint, but the Roman response was one of severe indifference. In the end, the consul Lepidus sent a half-hearted letter to the Achaeans that they had been wrong, but that was it. At about the same time, there were problems in Boeotia, where Titus Quinctius Flamininus tried to force the return of a pro-Roman politician named Zeuxippos. This was difficult, because the anti-Roman faction in Boeotia had the man convicted for stealing from a temple and for his alleged involvement in the murder of Brachylles in 196 BCE. The Senate ultimately asked the Aetolians and Achaeans to put some pressure on their neighbours to allow Zeuxippos to return. This understandably led to tensions, especially between the Achaeans and the Boeotians. And there were more problems. During the war with Antiochos the Great, Philippos V of Macedonia had annexed cities in Thrace and Thessaly with the Romans’ consent. However, no decision had been taken about what to do with these cities after the war. Philippos obviously wanted to keep them, but was opposed by King Eumenes of Pergamum and several others. The Senate once again decided to send a delegation of three envoys to the region to keep an eye on the king’s actions. It was led by Quintus Caecilius Metellus. This led to tensions between Rome and Macedonia. One of the most important events of this year was arguably the trial against Lucius Cornelius Scipio, the man who – with the help of his more famous older brother Publius – had won a great victory over Antiochos at Magnesia three years previously. The trial was almost certainly politically motivated, and one of the driving forces behind it seems to have been an old enemy of the Cornelii, Marcus Porcius Cato. Cato had been on bad terms with Lucius’ brother Scipio Africanus since serving as his quaestor in 204 BCE. Now Lucius was charged with having misappropriated state funds: money that had been paid by King Antiochos had not been deposited in the state treasury, or so the people’s tribunes who acted as the prosecutors wanted the popular assembly to believe. It is difficult to say whether there was any truth in the accusations. Livius’ account is our main source for the trial, and unfortunately it is hopelessly confused (which the author himself admits). Although Livius claims that Scipio Africanus was prosecuted first, it seems more likely that Lucius’ trial took place this year, and that of Africanus – on the same charges – in 185 or 184 BCE. Africanus seems to have been in Etruria when his brother was first accused of embezzlement. Two of Lucius’ legates were put on trial as well, and so were his quaestor, two scribes (scribae) and his personal assistant (accensus). The scribes, the assistant and one legate were quickly acquitted, but there was no escape for Lucius, the legate Aulus Hostilius Cato and the quaestor Gaius Furius Aculeo. They were all convicted for having withheld large amounts of gold and silver. Lucius was ordered to pay a large sum to the treasury, and a praetor threatened him with arrest if he did not have the required funds. This was, however, prevented by the people’s tribune Gracchus. Gracchus stated that he would not prevent the praetor from taking the required sum from Lucius’ possessions, but added that he would veto any attempt to arrest the former consul. The praetor then proceeded to confiscate much of Lucius Scipio’s property. Although this must have been a heavy blow to his financial situation, it certainly did not bankrupt him. Lucius remained active on the political scene and would try and win the censorship in 184 BCE, losing out to Cato, the man who presumably orchestrated his trial in the first place (note that Cato had levelled similar accusations against Manius Acilius Glabrio in 189 BCE). After settling affairs in Rome, both consuls departed for their shared province, Liguria. The lightly armed and very mobile Ligurians made use of the mountainous terrain to execute lightning-quick attacks on the Roman columns. But both consuls seem to have been well-prepared for this kind of low-level warfare. Although the Romans could not force their opponents to fight any pitched battles this year, the campaign was nevertheless a success. Flaminius managed to defeat the Friniates and the Apuani, disarming them and bringing them under the Roman yoke, at least for the moment. 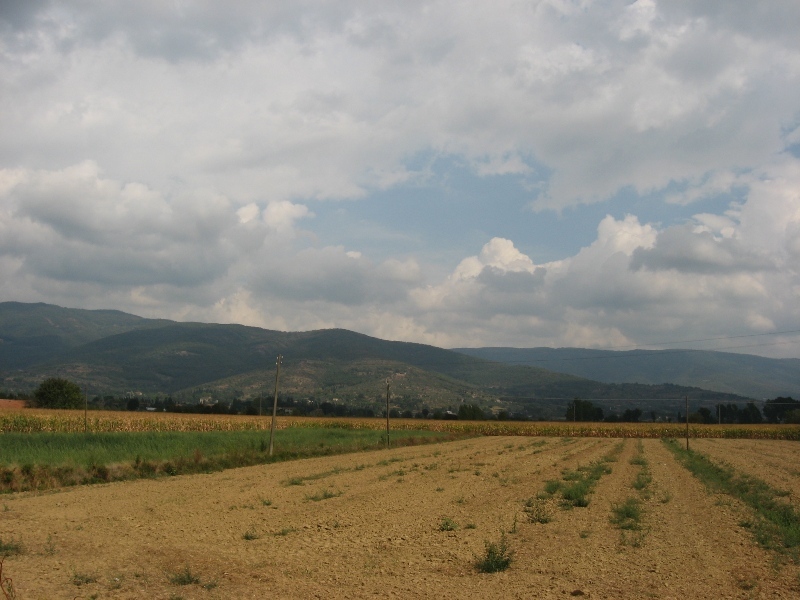 The other consul, Lepidus, burned their crops and villages on the plains and in the valleys. Both seem to have had plenty of time to do other things as well. Flaminius ordered his men to construct a road from the young colony of Bononia to Arretium. This road is sometimes called the Via Flaminia minor, to distinguish it from the more famous Via Flaminia constructed by the consul’s father Gaius Flaminius in 220 BCE. The new road linking Bononia to Arretium may have been important initially, but was later relegated to local relevance only. This was not the case with the road constructed by the other consul this year: the Via Aemilia. It was constructed by Lepidus’ men and connected the colonies of Ariminum and Placentia. Soon more colonies would be founded along this new road (see 183 BCE). Also this year, the Senate reprimanded the praetor Marcus Furius for his actions against the Cenomani. This Celtic tribe, with its capital at Brixia (modern Brescia), had a reputation for loyalty to the Romans. It had briefly rebelled in 200 BCE and 197 BCE, but the Cenomani had now been peaceful for a full ten years. Nevertheless, the praetor had decided to disarm them for no good reason. The Cenomani complained to the Senate, which upheld their complaint and ordered Furius to give them back their weapons and to leave his province. 187 BCE was a busy year for the Senate, because it also had to deal with complaints from Rome’s Latin allies. Many Latin men had left their communities and had settled in Rome. This was not illegal per se (the ius migrationis applied) but it led to the Latin towns becoming depopulated. This was disadvantageous to Rome as well, because it meant that it was harder for the Latins to fulfil their obligation of providing the Roman army with soldiers. In the end, the Senate decided that some 12.000 Latins had to leave the city and return to their original homes. Polybius, The Histories, Book 22.3-22.6. Adrian Goldsworthy, In the Name of Rome, p. 77-78.